When you begin your project with Five One Eight Contracting, you can be certain that your wants and needs will be treated with the highest levels of professionalism. In keeping with our commitment to total client satisfaction, we approach every residential project with the quality and care that has earned us our outstanding reputation, and allowed us to achieve the highest level of industry standards in remodeling. We go to extraordinary lengths to ensure that each construction or remodeling job flows smoothly, efficiently, and on budget. Whether we are supervising a small remodel, finishing a basement or a total house renovation, our success stems largely from a dedication to two factors: organization and communication. We know how to bring a client from start to finish of a project with minimal frustration and headaches. While any project can result in unforeseen issues, most can be prepared for with contingency planning. By informing our clients at the outset of anticipated issues and how they’ll be handled if they arise, the element of surprise is removed and replaced with confidence. It is common knowledge that kitchen remodeling is the most valuable project to undertake in your home. For those clients who are considering a kitchen remodel, we help you analyze your typical kitchen use, your style, color preferences and taste. Whatever your needs, we can transform your space to optimize its functionality and convenience with a wide range of services. Our solemn promise to you, our customer, is that we will always be honest and open with you, and that we will strive to make your project as sustainable as possible, while providing the highest quality workmanship. 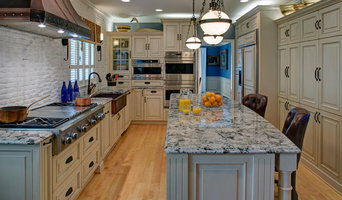 What does a Woodlawn kitchen and bath remodeling expert do? 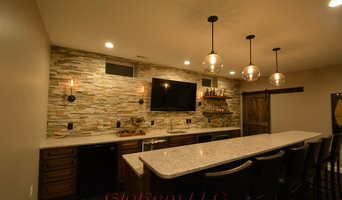 Licensed Maryland kitchen and bath remodelers are contractors who specialize in altering the structure of an existing space, rather than building one from the ground up. 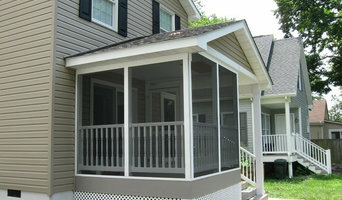 Because he or she must deal with a previous builder’s work, the job can get more complicated than new construction. You might wonder why they often specialize in both kitchens and bathrooms, but if you think about those two spaces, they actually have a lot in common. Kitchens and bathrooms include an abundance of fixtures that require careful planning and installation, including sinks, faucets, tubs and toilets that all need water hookups and drainage. They also use similar materials, such as tile and stone for countertops and flooring, due to the nature of their use. So it makes sense that Woodlawn kitchen remodelers and bathroom remodelers be one in the same. A bathroom or kitchen remodeler translates architectural plans from page to reality; some are also trained to provide design services so that you don’t have to hire a separate pro. Like a general contractor, a kitchen and bathroom remodeler in Woodlawn, MD is responsible for hiring and supervising subcontractors and providing materials when necessary. They also should have a thorough knowledge of Maryland building codes and construction-related legal issues, as well as current design and product trends. Here are some related professionals and vendors to complement the work of kitchen & bath remodelers: Woodworkers & Carpenters, Kitchen & Bath Designers, Interior Designers & Decorators, Architects & Building Designers, General Contractors. 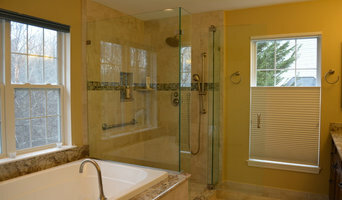 Find a Woodlawn kitchen and bathroom renovator on Houzz. Narrow your search in the Professionals section of the website to kitchen and bathroom remodelers in Woodlawn, MD. You may also look through photos of Woodlawn, MD spaces to find kitchens or bathrooms you like, then contact the bathroom or kitchen remodeler who worked on it.